Alternative Medicine Practitioners are usually busy people because they spend a lot of the day very “hands-on” consulting with clients and treating clients. If you try contacting one on the phone, you’ll most likely get a receptionist because the practitioner will usually be in the treatment room. When one customer leaves, another one goes in! Well, this is how it ought to be and this is how you want it to be – isn’t it? If you don’t already have back to back appointments with clients then you really need to start doing some local SEO. You can do it yourself or you can subscribe to a service provider that will do it for you. Your Website Doesn’t Cut It! “No, you don’t have any sales yet, nor will you ever” I replied. Yes, it seemed harsh but I needed to stop her in her tracks and hear me out. I did say it nicely mind you. Imagine if you moved house but you didn’t give your address to your family and then you wonder why you are sitting all alone on Thanksgiving! Website traffic does NOT just happen when you can a website, you have to “put yourself out there”. Local SEO for small business is the same as SEO work for national and global business but you are targetting your local demographic. Local alternative medicine practitioners can only give their services to people who are within a reasonable distance to them. They need to physically meet them (unless you are offering counselling or hypnotherapy for example). Therefore, one maybe aiming to rank on Google for “holistic doctor huntington” rather than “holistic doctor”. If your practice is in Long Island, web traffic from California is not much use. Why is Local SEO for Small Business so Important? 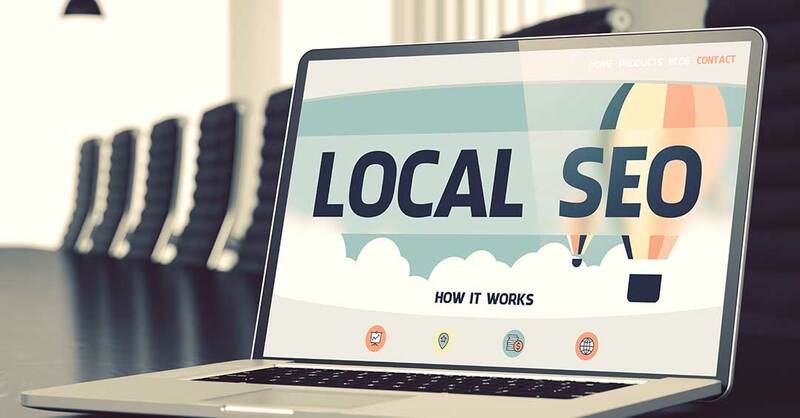 A well rounded and balanced combination of online marketing methods is good but the first thing any local business should do is their basic Local SEO. Without the bare essential activities, you’ll miss out on a lot of local search traffic. Search traffic is very high quality and targeted. If you are a homoeopath located in NYC and someone in NYC googles the keyphrase “homoeopath NYC”, You want to be there on the page one results! If the potential customer clicks through to your website and sees that you are indeed a homoeopath near him/her, that is a very high quality and targetted website visitor. Here are the basic things you need to do in order to ensure Local SEO on your website. If you do these few things you’ll do well. SEO – Local, national or Global can be a time consuming and laborious venture. There is the option of outsourcing this part of your business to a specialist company. However, beware! There are a lot of charlatan people and companies out there offering local SEO for small business service so be sure to find a company with a proven track record who are not afraid to show you case studies that you can follow up on. Ask them to clearly breakdown their proposed activity and how they intend to report their work and their progress.